Home » Film » Fall? Oh, me! I’ve reviewed movies professionally for more than a dozen years. The few weeks immediately surrounding the end of summer has always served as Hollywood’s trash heap. Only, unlike the talking one from “Fraggle Rock,” this trash heap doesn’t offer advice so much as waste hours of people’s lives so that mid-range stars can draw a paycheck. This post-summer blah is the worst ever. How bad is it? The week after Labor Day, no studio had a wide release. Zippo. Nada. No Bruce Willis generic actioner or Ryan Reynolds cocky half-comedy. Nothing. It seems like a pretty good time to remind ourselves better days are coming, so here’s a look at some flicks that have me all twitterpated for this Autumnal harvest. Speaking of trash… From the folks who brought us the truly exceptional and criminally underseen Paranorman comest his take of underground, cave-dwelling trash collectors. Based on Alan Snow’s kid’s book “Here be Monsters,” Boxtrolls features Laika Entertainment’s signature Claymation style, sweetly supernatural motif and characters sincere enough to give trolls a good name. Well, a better name maybe; internet trolls will receive no redemption. Bill Murray will play a character described as “misanthropic, bawdy and hedonistic.” At the beginning of that sentence, I believe I had your curiosity, but now I have your attention. With supporting players like Naomi Watts, Chris O’Dowd, Melissa McCarthy and Terrence Howard, this is not your run-of-the-mill indie comedy. Also, it features Bill Murray as a misanthropic, bawdy hedonist. I just wanted to be sure you saw that. I’m not the only one who noticed that at some point Jake Gyllenhaal started looking less heartthrobby and more heart-stabby, right? Well Nightcrawler is putting that facet on full display, as Gyllenhaal plays a freelance crime journalist tweaking and freaking his way through the underground world of L.A. I’m told the above-ground world of L.A. is pretty freaky stuff, so I can only imagine what’s in store for poor Jakey. 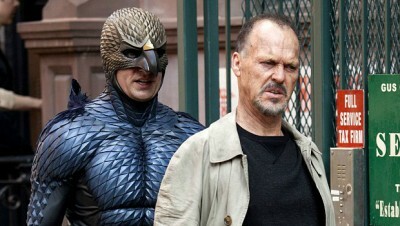 When I heard Michael Keaton would be playing a washed-up actor who rose to fame playing a major superhero, I was in. Then I actually saw a trailer for Birdman. Holy. Crud. Writer/director Alejandro González Iñárritu’s film looks like what everyone hoped would happen when Michel Gondry took on Green Hornet. Not only should this serve to remind the world of Keaton’s underused chops, but it is the first time Ed Norton has something interesting to do since his series of cell phone commercials (seriously). Shot to feel like a single take, the movie also features Emma Stone, Naomi Watts, Amy Ryan and Zach Galifianakis. Related: Why am I not watching this movie right now? The McConaissance may never end, people. This just may be how we live now. Teaming up with writer/director Christopher Nolan, Matthew McConaughey is going big. Like, “out of known space and time” big. With the planet in peril, he plays an interstellar explorer looking to find a new home for humanity. Or something. All I know is it has Anne Hathaway, Jessica Chastain, Michael Caine, Casey Affleck, Wes Bentley and John Lithgow, and some of them are doing stuff in space. The trailer felt like an action version of TV’s “Cosmos,” which is the coolest sentence I’ve ever said. This one will set fire to the box office and may just be a dandy come Oscar time.